$30.00 In stock. Order in the next 9 hours, 16 minutes and it will go out today! With music playing the performer picks up his wand and makes a few magical passes over his wand. 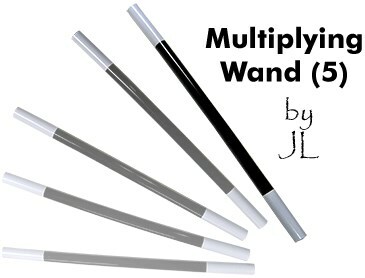 With a slow turn the wand turns from 1 to 2! A black wand and a red wand! This repeats 2 more times until the magician has 4 wands! All different colors!